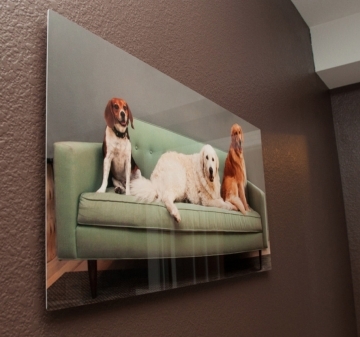 ChromaLuxe™ Aluminum photo Panels have a finish that enhances photographic highlights and accents on any image. These plaques are designed to be imprinted and hung individually or in configurations that emulate murals. Available in various sizes each aspect adds tonal quality to the artwork, making beautiful displays . 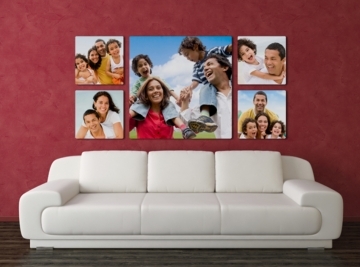 ChromaLuxe connections are a series of aluminum photo panels grouped together to create magnificent wall décor. ChromaLuxe Connections add style to both your home and office! 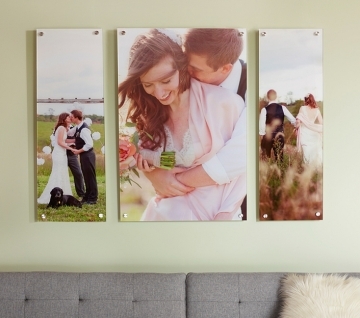 Use multiple photos or a single image across the group of panels for a bold impact in any location. Available in an array of sizes, they can be arranged in a variety of configurations. Please refer photos. Max Displays printing technique is unique because the inks go from a solid to a gaseous state without turning into a liquid. This ink consists of a solid, heat-intensive dye, which provides the colour, dissolved in liquid. Under heat and pressure, the solid dye particles change into gas, bond with any polymers present, and change back into a solid. The high temperature used opens the pores of the polymer and allows the gas to enter. When the substrate is removed from the heat source and is allowed to cool, the pores close, and the gas reverts to a solid, becoming a part of the polymer. As such, the dye particles can no longer be removed and will not wash out with even chemical solutions. ChromaLuxe offers a white poly-based coating and a clear poly-based coating. 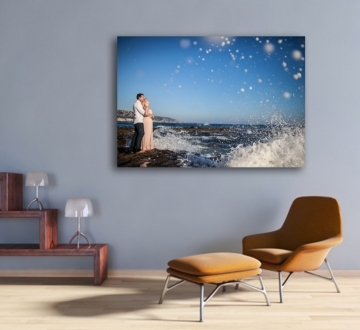 When images are transferred into the white poly-based coating, it gives you a vibrant, true-to-colour image reproduction with exceptional quality of detail. When images are transferred into the clear poly-based coating, the aluminium shows through the lighter areas of your transfer and leaves you with a metallic look. Both substrates are available in gloss and matte.